The Irish weather was perfect! We throughly enjoyed the trip you guided and the thoughtfulness of every decision you made. It was an extremely compatible group and I think that’s in large measure to you. Ireland is indeed a special place and we left with many wonderful memories and a desire to return. We loved the Auberge and were treated so well. The food was great and the accommodation very comfortable. Pierre did a great job getting us around and picking out some walks for us. We seemed to be more about the wine and tasting than the walking, but we did manage to get in a bit of exercise. We want to thank you for all that you did to make our time with you and the others in our group so special. Your attention to all of the details was appreciated. I know that I speak for TK when I say that it exceeded our expectations. We will surely refer others to you. "This was my third trip with Joyce and like the prior two trips, it was excellent. The scenery on each walk was spectacular. The walks varied and interesting. Joyce's attention to detail as well as her ability to find unique, history rich accommodations - small B & Bs, family run hotels - as well as local guides who are knowledgeable about the area and its history. Joyce's trips should be on everyone's list if you like an active walking vacation." "I can't believe that just a week ago you dropped us off at Dublin airport. It seems like years ago, although my treasured memories of the trip are vivid! It was just the best trip I could ever, ever have imagined. Thank you so much for your quiet, meticulous orchestrating for our comfort and delight! I help people figure out how to juggle lots of things in their lives and still be present to people. You are my new standard! You have got those skills honed! But I suspect it’s just who you are. With huge gratitude, Sharon." 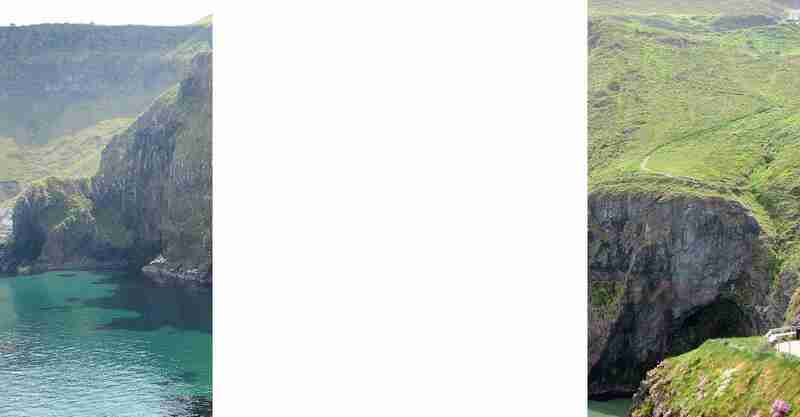 "I recently completed the "Causeways, Cliffs and Castles Tour" with Joyce's Ireland. I have been fortunate to have traveled extensively throughout my life. The vital keys to a successful organized group vacation can be summarized as follows: small group; unique accommodations; excellent food; daily itinerary flexibility; interesting destination and perhaps most importantly a superb guide. Joyce's Ireland owner personally guides all her Ireland trips. She is organized, knowledgeable, understands the value in getting off the beaten path and has an infectious sense of humor. Finally, since this was a hiking holiday, one can also depend on Joyce to have chosen a great variety of hikes with options for various peoples' fitness levels. Ireland and the Irish people offer a fantastic holiday destination and one can't go wrong choosing this company to travel with." "I really like your format: small groups, good walks, interesting accommodation and friendly leaders. We both really enjoyed the Wales tour and continue to tell our friends to try Joyce’s Ireland if they are looking for a walking tour." "The one week walking tour featured hikes of varying length and challenge but all in absolutely beautiful areas. I was particularly pleased with the diverse landscapes Joyce included on the tour -- heavily forested areas, river walks, boggy areas through sheep pastures, a beach, the cliffs of Dingle Bay, an abandoned village that fell prey to the potato famine, a famous literary site (Coole), waterfalls. The boat ride she arranged on the lakes near Killarney was a real treat -- we saw more wildlife during the boat ride than we had seen during the hikes. Joyce is very engaging, has a wonderful wit, and is a very good organizer." "I have visited Ireland before but Joyce's Ireland hiking tour gave me a unique experience. I can now say I've seen Ireland that everyone should see by joining her guided trips. This trip gave me a glimpse of the daily life in the countryside while enjoying the spectacular views. The hiking trails were well paved for the most part which suits me as I am not an experienced hiker. My favorite would be the Antrim Coast and the Dingle Peninsula. The Cliffs of Moher were breathtaking! At the end of the day you get to relax in a beautiful B & B and enjoy delicious food! It appears that Joyce has a good working relationship with the proprietors. I am seriously considering another trip with Joyce!" "This was my first trip with Joyce's walking tour. We were guided by Pierre Peyret, who did a great job guiding us through the fun adventures in and around Provence. Linda Field, and her husband Chris, were our hosts at their wonderful home, Auberge du Vin. I would highly recommend this tour for anyone interested in hiking and wine. Hiking tour included guided walks in the Mormoiron area, and a tutored wine tasting at Chateau Pesquie, dinner at Chateau de Mazan, The website gives a good explanation of what would be included. This was the first of a 13-day adventure for a group of girlfriends. On our own, we took a train to Nice for a 3 day stay and then ended the trip with 4 days in Paris, including a bicycle tour around the city. Fabulous girls-trip all the way around, and Joyce's walking and wine tour was an awesome way to start." "Thank you again, Joyce, for a wonderful holiday. I had a great time and will come again. I'm a bit sad it's over and would actually like to come right back for another tour....!!!! This was my third time in Ireland and my first hiking tour with Joyce's Ireland. I didn't quite know what to expect and have to say that I was so impressed with how well organized everything was, while still being friendly and casual. This was also the first time I joined a group tour as a solo traveller and it turned out great. I would recommend it to anyone. It was a stress free and fun holiday." "It was a fantastic holiday, and I really enjoyed myself. You chose some really good places in which to stay, and all the food was excellent - I haven't dared to stand on the scales yet!! Ireland is beautiful, and I particularly enjoyed all the coastal walks - especially as we got a sea breeze there! I'm not used to this heat! However, we were so lucky with the weather, and it was also lovely to see so many of the wild flowers, which would normally have been over by now. It was altogether a great trip, so many, many thanks for making it such an enjoyable holiday. It was my first visit to Ireland, and I certainly hope that it won't be my last." "We just returned from a truly wonderful walking trip across the Northern Ireland Countryside with Joyce's Ireland and her Hidden Ireland North tour. Joyce ordered up beautiful warm, sunny days for our hikes, we got to visit beautiful scenic places along the Northern coast, we met very nice fellow travelers and ate wonderful meals --Joyce planned all of the details so that we all could relax, disconnect from our busy lives and really enjoy our time in Northern Ireland. Joyce provides the extra guidance to her travelers in that she will gladly work to customize a trip as needed and will offer traveling tips with regard to how to travel well and minimize expenses at the same time. I plan to return to Ireland in the not so distant future and will for sure connect with Joyce to see which of her planned excursions are on the calendar!" "This was our first visit to Ireland and was most enjoyable. We really enjoyed the hiking and the village pubs. The weather wasn't the finest, but we were prepared and had no problem. The meals were very welcome after a hard day, and the Irish breakfasts were just over the top. A special note of thanks to Joyce who worked so hard to make sure we had a good experience...and that we did. We would gladly recommend this trip to anyone." "This was my third trip to Ireland but I saw it with different eyes - and learned more - this time thanks to Joyce's orchestration of wonderful hotels, walks and time with some exceptionally talented and passionate guides. With my 88 year old mother in tow and a niece I was treating to a "Graduation trip" I wanted everything to be just right, and Joyce made sure that it was! Thanks for everything!" "Thank you for all your hard work and good spirits, and for showing us a little of your Ireland! It has been a lovely relaxing holiday, and we couldn't have been more welcomed."